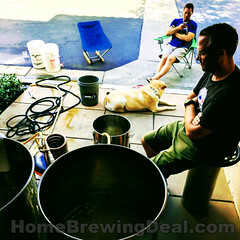 New Home Brewing Products! Has the Worlds Best Home Brewing Wort Chiller Just Been Made? 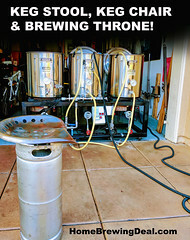 Coupon Description: If you are not familiar with SABCO, they are one of the elite producers of homebrewing sculptures, brew rigs, home brewing systems, home breweries or what ever it is that you choose to call them! In addition to homebrewing rigs SABCO creates other high end home brewing products to work in conjunction with their homebrew setups. The recently released a new home brewing wort chiller that is pretty incredible and may be the best I personally have ever seen. The SABCO Chill Wizard System is what they are calling it and it is pretty incredible. Why stress over picking the perfect wort chiller, beer pump, and oxygen/air pump when you can have all three in one amazing product? That was the thought behind SABCO designing the Chill Wizard home brewing wort chiller. 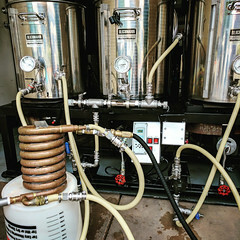 SABCO designed this semi automatic wort chiller to take care of just about everything and to help you brew better beer! With the SABCO Chill Wizard, you can even oxygen you wort directly into the wort flow line so you don’t have to do it later. SABCO really did think of everything with this wort chiller. 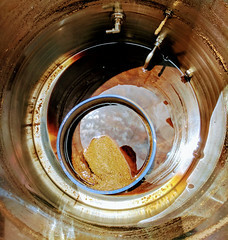 The Chill Wizard home brewing wort chiller even has CIP capability.